Vähämäki’s (born in 1981) comics often follow the logic of dreams. 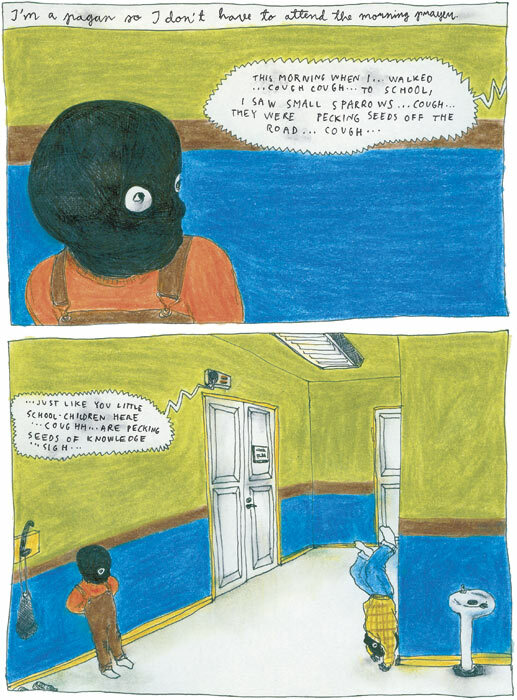 Right from her first graphic novel, Pullapelto (2007), which was published by the Italian Canicola collective, Vähämäki has combined everyday milieus with inexplicable events. She draws a thin pencil line, commonly leaving some of the sketches and smear in the final product, thus adding to the intimacy of her stories. Vähämäki’s comics have been published in five languages. Her short stories can be found in a number of international anthologies including Glömp, Orang, Canicola and Galago. She won first prize at the 2005 Swiss Fumetto International Comix Competition. Vähämäki was also the festival artist of the Helsinki Comics Festival 2012.